Home » Getting Started » Can the Game “Second Life” Teach our Children Personal Finance? 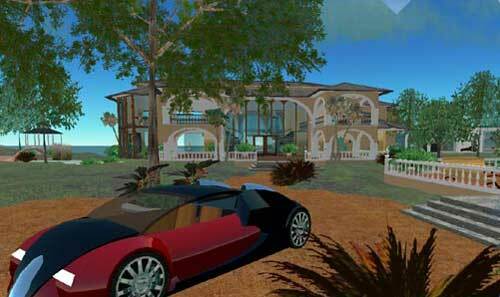 Can the Game “Second Life” Teach our Children Personal Finance? Second Life is a game that allows you to have exactly what the name suggests; a dual life. Second Life is a virtual world which allows you to create an avatar for yourself, and then purchase, develop, and sell virtual property. Within the online game, users can socialize with other gamers from around the world, join in group activities or quests, and even buy and sell virtual property from one another. The currency used in Second Life is the Linden Dollar (L$). The crazy thing about this game is that the L$ is actually purchased using real US Dollars or other real currency. This has allowed many residents of Second Life to turn a profit from their gaming and to learn real financial principles. Many experts were abuzz with the news a few years ago when one of the major banks within the world of Second Life, Ginko Financial, went belly up. The bank collapsed because it was essentially running a Ponzi Scheme. Ginko Financial was promising returns of up to 40% and at the time of insolvency, owed for than $2,000,000 L$ (US $750,000) to Second Life residents. The crash of Ginko Financial happened in early 2007, which was right on the cusp of one of the greatest financial meltdowns in the United States history. Can a virtual world really have predicted the future? It seems a little crazy to me on the surface, however the people playing this game are the same people that were (are) running the world’s economy. The same decision making skills that were used to generate massive profits by promising outrageous returns sounds a lot like the Ponzi schemes, and mortgage lending practices of so many financial institutions in the last few years. These practices have been uncovered and the backlash has been swift. However, the damage is already done. Second Life predicted this collapse in it’s virtual economy and we all should have paid much closer attention! There has also been a movement recently of building games within Second life that help teach children and young adults solid personal finance skills. Ohio University and credit union industry leaders launched a game back in 2009 that teaches financial skills to young people. Because of the “real life” aspects of this game, it was a natural progression to combine a virtual world with real financial principles. Let’s face it, our children (and us) love to play video games. If we are successful in teaching the next generation solid financial skills through a medium that they know and can appreciate, then we will be much more successful. I think this is an awesome idea! Second Life residents in the “Credit Union Island” game can sit through seminars and classes on finance skills, they can open up bank accounts, they can apply for credit, they can create a budget, and then they can actually spend their money on things in a pseudo economy. The Credit Union industry is behind this development because of the vast potential for future growth. The idea even has possibilities in other areas of education such as math or science. Embracing technology in this area has created a unique way to reach our kids with personal finance wisdom. Anshe Chung, or Ailin Graef, became the first person to have a net worth of over US $1 Million through their activities within Second Life. Anshe/Ailin made the majority of their money through buying vacant land, developing it, and then selling it for a profit. Anshe/Ailin has also made large profits by creating her own P2P lending system, owning several virtual shopping malls, several virtual store chains, and also by creating and selling several virtual brands. She also has made large investments in other virtual companies within Second Life. Anshe now has her own studio where she and her team continue to develop virtual real estate and sell it more massive profit. She has taken real estate skills from the real world, transferred them to a virtual simulation, and has profited from it. I am fascinated by this story! First, it is incredible that someone can actually make money from a game. Second, the fact that she has made a fortune from creating virtual goods is remarkable. That takes a lot of creativity and business savvy. She obviously recognized a need within the game, and found out a way to capitalize on her niche. I have never played Second Life, and I don’t really have a burning desire to do so, but if there is real money to be made within the virtual realm it might be worth considering! Have any of you ever played Second Life? Will you let your children play and hope that they learn real-world financial principles? I haven’t actually got involved in Second Life myself, but I do recall hearing a lot about it a few years back when people started making real money. It got so big that real life retailers were creating a presence to sell clothes and accessories. It’s amazing the way people find new angles to make money, but wherever there is demand, you can bet there is someone trying to cash in. As far as kids go, it could very well be a great way for them to learn in relative safety. Then again, it might be better for them to learn the value of hard work flipping burgers for a while instead! @Shaun — I heard about that too a few years back. And you are right, any money making scheme will see flocks of people rushing to fill the demand. As far as kids go, I think a combination of hard work ad ingenuity will go a long way. Maybe have them flip burgers AND start their own enterprise. Thanks for stopping by! I think SimCity or one of the Sims might be a way to learn too. You dont want your child at too young of an age to see how easy money can be made and be driven their life by more money. You want them to have a passion for what they are doing but not be strictly driven by money. We always want the best for our kids, but a little money early on might show them the value of money and that hard work creating in Second life might give them that. I do remember a few years back hearing about Second Life as well but I thought it didnt go there. Interesting article that someone made a million dollars. @Christopher — That is an excellent point. There is a fine line between teaching your children to be motivated and hard working, but to also keep their priorities on something else besides money and greed. Thanks for sharing! It taught a friend of mine about it. He paid someone to build up an island (I think that’s what it was called) in addition to paying the monthly rental fee for the server space. I think he lost a fair bit when the rules changed at Linden Labs. Linden Labs is the big winner. Everyone else’s success depends on the benevolence of Linden Labs and how much they decide to pay out. @Mbhunter — You bring up a good point. Any success that an individual has within Second Life means even more financial success for Linden Labs. interesting idea on outsourcing gameplay! Second Life is not a game and it should not be seen as one. SL is a serious entertainment platform. Not a place for kids. Interesting. I’d love to know more about what you mean by “serious entertainment platform”?